Academics are really important to Wes Anderson. A perennial member of the Academic All-State team in three different sports (baseball, basketball, and football) Anderson finds a way to balance athletics and still finish in the top five percent of his class. 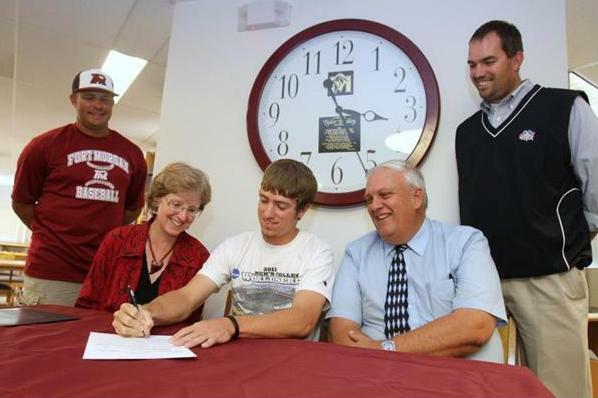 With a drive for school and a passion to keep playing baseball, Hastings College ended up the best fit for Anderson. 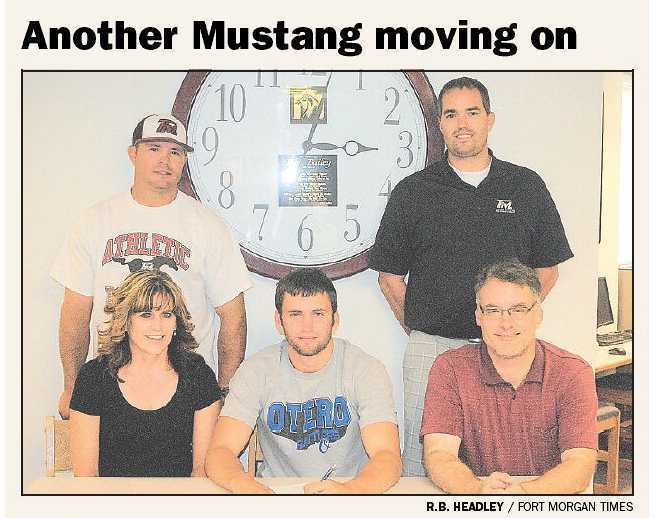 With that, Anderson signed his letter of intent to join the Hastings Broncos on Wednesday. "I'm not really sure why I picked it. 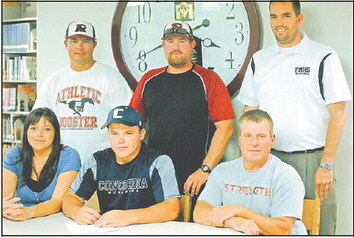 They have good athletics, the major I wanted and I got to keep playing baseball," said Anderson. Anderson plans to major in a very demanding academic field, mechanical engineering. Anderson has a cousin in in engineering already, and became interested in it from that. "It's already there in the family so yeah, I've wanted to do it for awhile," said Anderson. 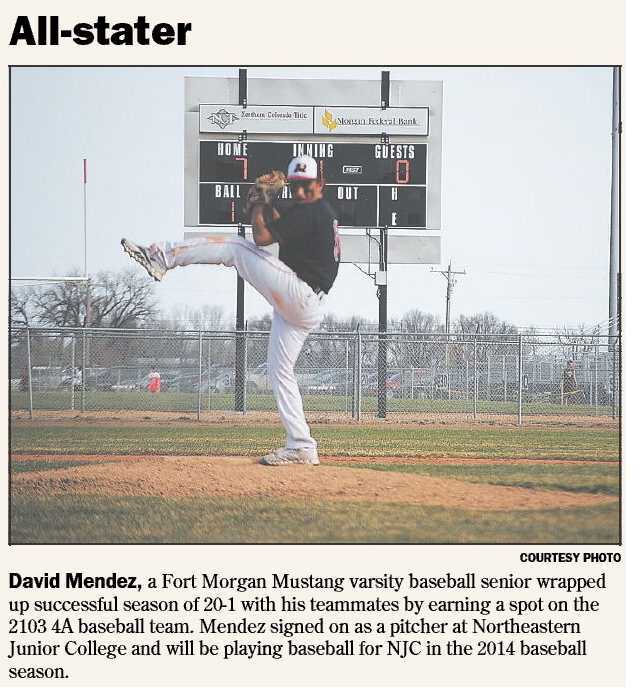 The number one thing that the 4-hole hitter and first baseman on the Fort Morgan Mustangs is excited about is just the opportunity to keep playing baseball. "I just wanted to keep playing. I wasn't ready to give it up yet," said Anderson. Anderson made sure to thank all the coaches that helped him along the way. 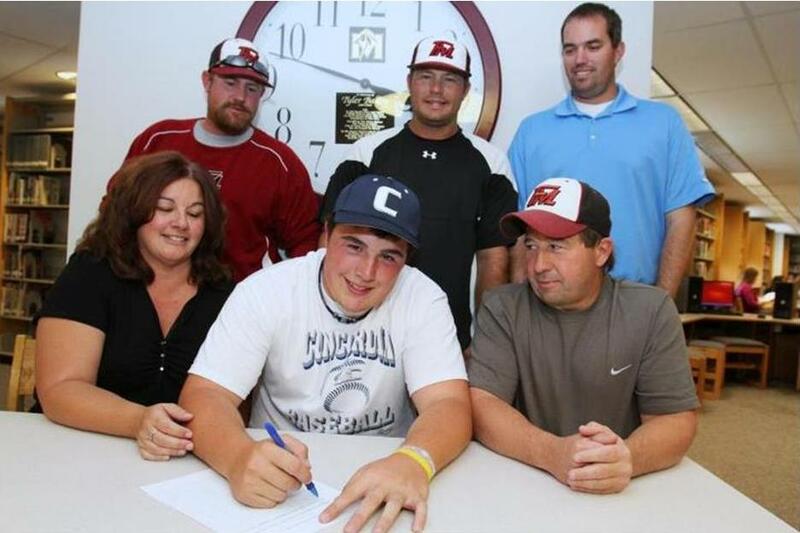 "I really want to thank my coaches especially coach (Josh) Langford. He taught me a lot. Not sure I'd be here without that," he said. 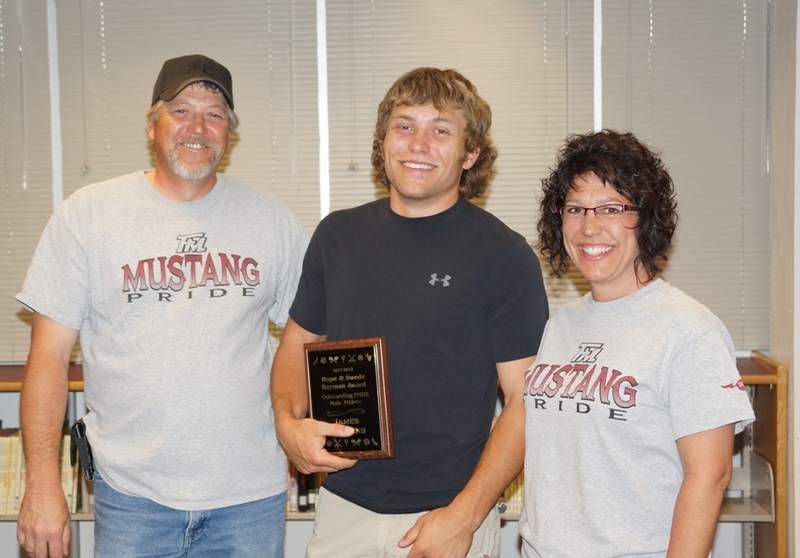 He also pointed out that his parents have been supportive over the years and he was glad to have them there. Anderson hit .227 his senior year. He had 17 RBI with two doubles and two home runs. He hit .295 in his late two years with 34 RBI, four home runs and 36 hits. 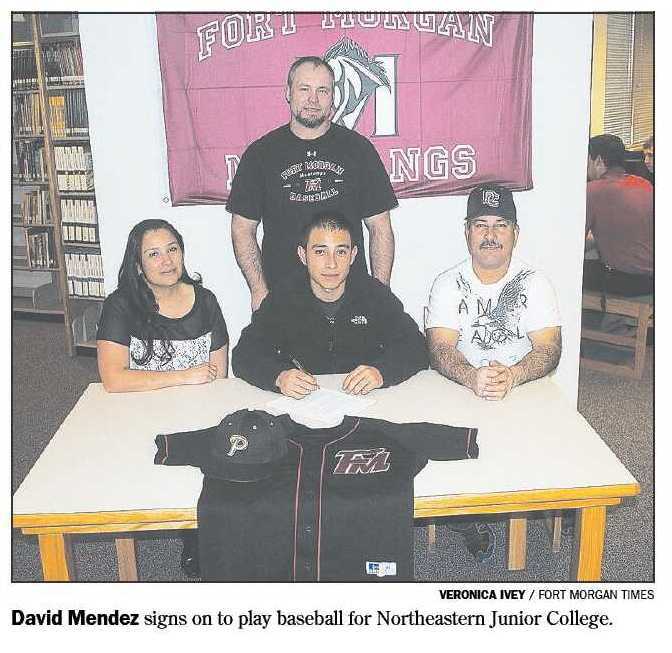 He had a .953 fielding percentage with 79 put outs and five double plays in his senior campaign. He also lettered in football and basketball. 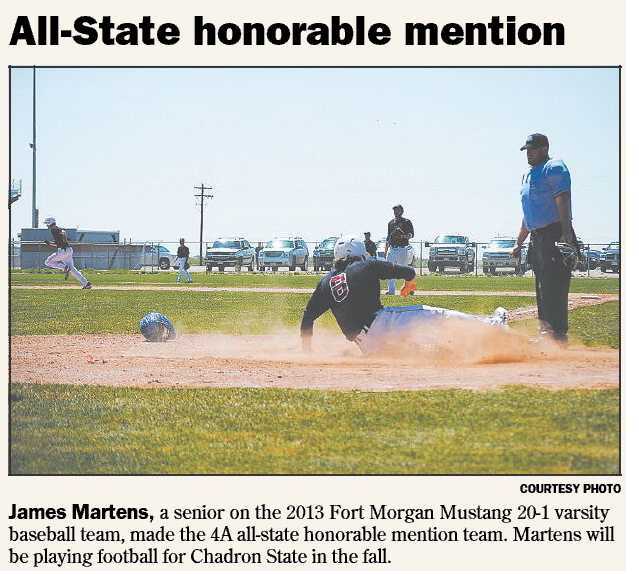 Both the baseball and basketball teams made the state tournament in his senior season. 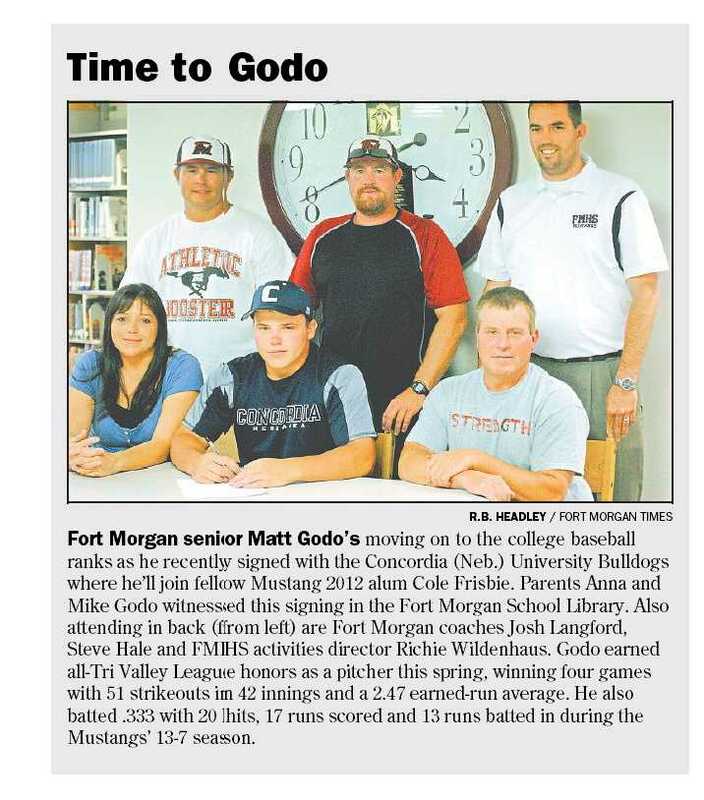 Anderson was also awarded the Wendy's High School Heisman for Fort Morgan High School along with numerous other awards. He will graduate with honors.